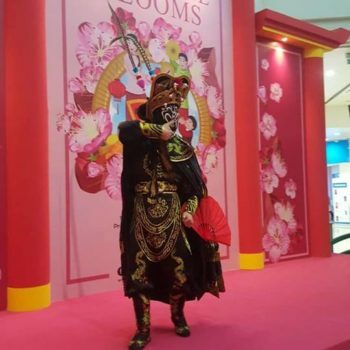 Why choose us for Bian Lian or Mask/Face Changing Performance? 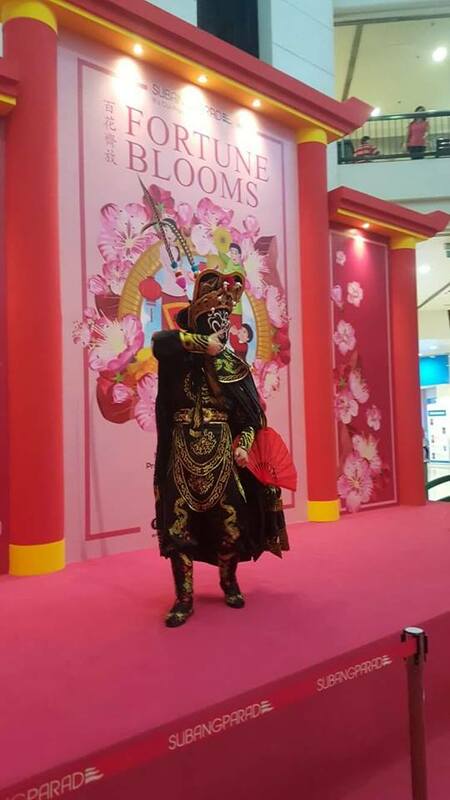 At liondancesingapore.co, our accredited Bian Lian performers have more than 20 years performing on stage for mask changing performance. Precision and speed of our mask changers are the reason why event organisers choose us, every time. Check out our Chinese Dance Performances here! What is Face/Mask Changing Performance or Bian Lian? Mask changing can confound and confuse, shock and surprise, but most of all, magic is shrouded in a fog of mystery that astounds the mind. Most jaded and world-weary souls would tiredly proclaim that there is no magic left to bewilder anyone anymore in this world, but they may have spoken too soon without witnessing the magic of the ancient Chinese art of mask changing performance. Few would realize what the a mask changing act is, but those who have would be made speechless by it. The performance is essentially a stage act put out by a highly talented opera performer, a “magician”, if you will. 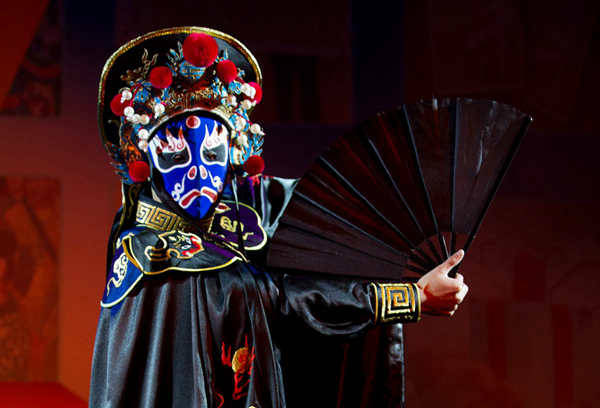 At the centerpiece of this mask changing act, is the performer who dons bright opera costumes, complete with an elaborate headdress, long sweeping sleeves, beautifully painted hand fan, and dramatic masks. The masks may depict specific characters from famous operas but for those who aren’t well versed in Chinese history and folklore, the performance is captivating all the same. Call Cyrus at +6597280920 for an Instant Quotation now! 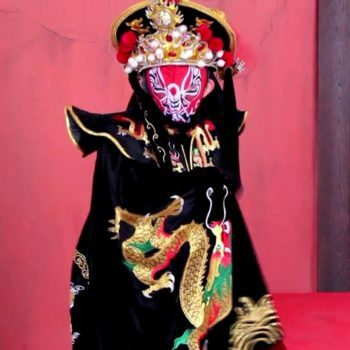 Also known as “bian lian” or face changing, the art of mask changing is one that originated from the province of Sizhuan, China, 300 years ago. 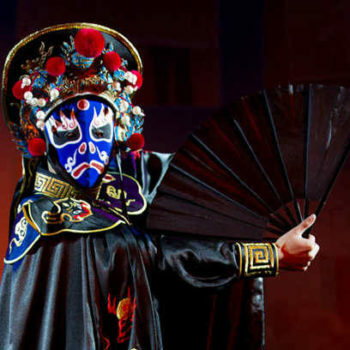 The mask changing performance was first made popular by the Sichuan opera which was placed under one of the Han Chinese operas. In ancient days, it wowed the audience in eastern and central Sichuan, Chongqing and Guizhou Province, Yunnan Province. 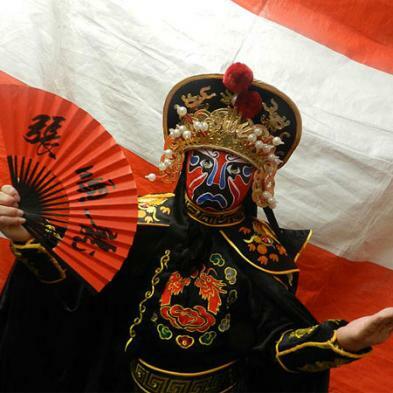 A “bian lian” show is usually helmed by a Chinese opera performer. In the past, it was said that this face changing act was so secretive that the Chinese swore to never divulge their secret techniques. Practices were held in private and none but male heirs are privy to this secret as daughters would be married out and therefore, might be made to reveal the secret of this mystical performance. Things have changed since then and bian lian performances has spread across the world, including performance of bian lian in Longleat Safari Park! Click here to find out more about our fun-filled photo booth! How is Bian Lian/Mask/Face Changing Performance done? 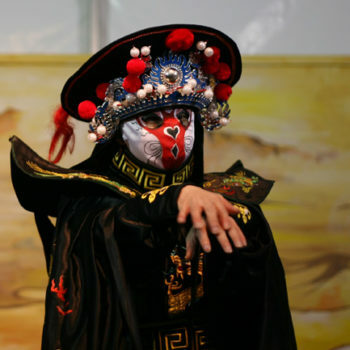 In a typical mask changing show accompanied by heart thumping opera percussion, the performer would demonstrate his ability to almost instantaneously change his mask. He may make a quick swipe of his fan, or turn his head in such a way that the movement is so subtle that the audience found it hard to believe that he would face them with a completely different mask in a split second! How do they do it? Many people would come out of a face changing performance, stunned and bewildered. Next, they would wonder how changing masks so quickly akin to the speed of lightning is possible. There are typically several methods to this. 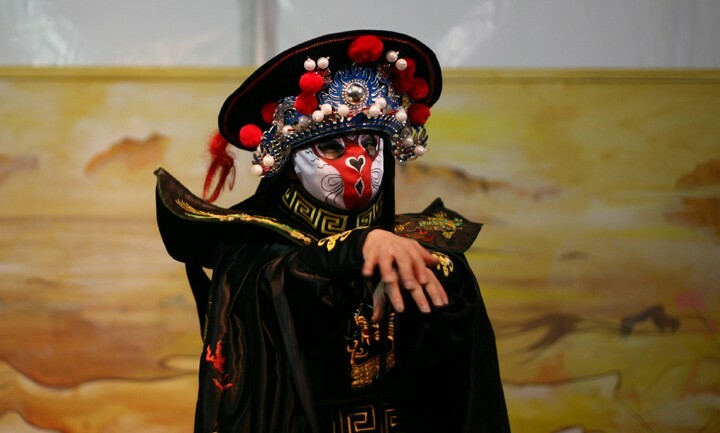 A “bian lian” performer may blow black dust into the crowd, obscuring his face from their view, and instantly changed into another mask. Or he may even perform a fascinating “face dragging” technique that consists of him using paint to change his face expressions. Check out our Balloons Decoration too! 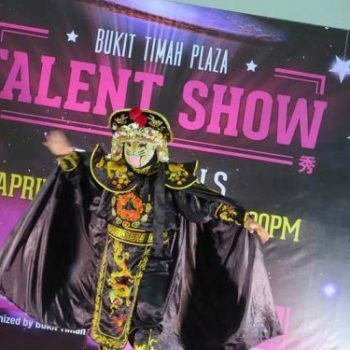 Today, face changing performances are still a rare magic to behold, but fortunately there is mask changing performance in Singapore to be witnessed. 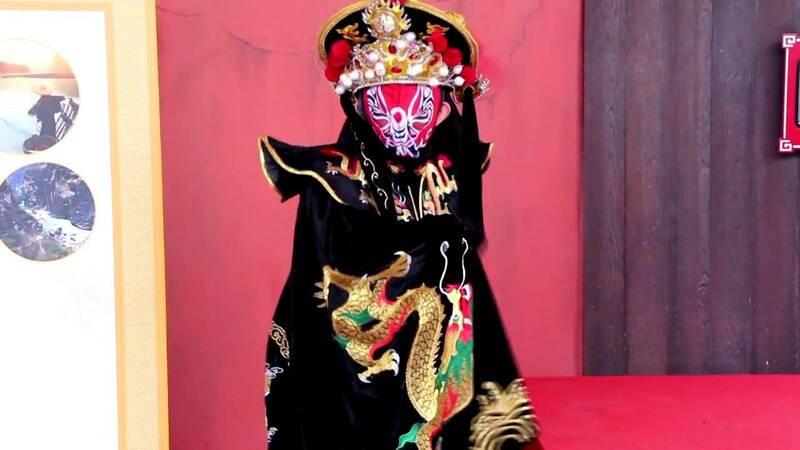 The mask changing Singapore scene is pretty much reliant on talented mask changing Singapore acts, but thankfully there is no shortage of them at LionDanceSingapore.co. 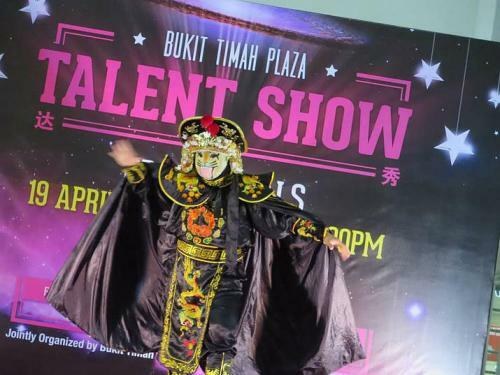 The performers are talented individuals who have truly mastered the art of “bian lian” and are well-versed in this form of intangible magic. Mask changing performance in Singapore is a beautiful thing to behold. No event is complete without the host having the honor of delighting the audience young and old alike with a treat of this infamous face changing performance. And with the mask changing performance in Singapore becoming a rare art form these days, one should never miss a chance to feast their eyes on this mind blowing show. For more event ideas, check out our LED Robot Dance, LED Lion Dance, LED Dragon, Stilt Walking Performance and Live Band in Singapore.